Many people, both non-native English speakers and native English speakers, have beautiful accents, but want to improve their speech because they find their accent makes it difficult for others to understand them clearly, affecting their job performance and daily interactions. Accent reduction, or accent modification, allows you to change your accent so that when you speak English, you will sound more like a native English speaker, helping you communicate more effectively. Specifically, you will change the sounds, stress patterns and intonation of your speech so that it fits a General American English (GAE) accent. This speech process is different from learning English as a Second Language (ESL), but your English usage may be improved at the same time. You will likely be asked to read some words, sentences and paragraphs in order to evaluate your speech and determine areas to focus on to improve your English accent. We will also spend some time talking about what you want to accomplish together in order to improve your speech. After we meet, English Accent Tutor will review the accent improvement evaluation and determine how to best help you change your accent to improve your speech. At our next session, we will discuss some goals based on your individual needs so that you can help decide which areas of your speech are most important to you in improving your communication. Above all, our ultimate goal is to make your time with English Accent Tutor practical. You will be asked to keep a list of words that you struggle to pronounce or that others ask you to repeat. If scheduled to give a presentation, bring in your speech and we will work on making you feel more confident. 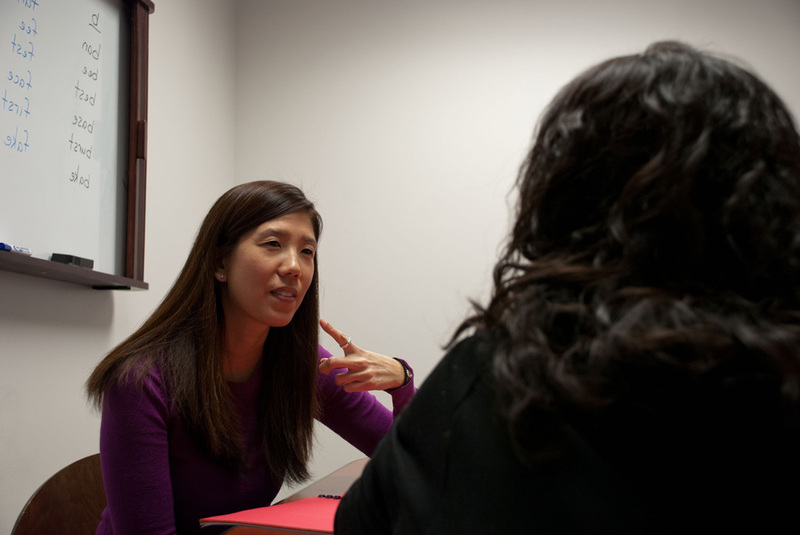 Accent improvement sessions may be scheduled once or twice a week at a time and location that is convenient for you. The location of each session is based on your preference (your workplace, home, library, coffee shop). Fees vary by meeting time and location. At the end of our time together, the goal is for you to be able to speak with an improved GAE accent so that others can easily understand your speech. Speaking with an accent is not a speech or language disorder. Because of this, services to change your accent are not covered by insurance. However, some companies may offer reimbursement.